YouTube.com/editor is where you can edit your videos. They’ve just added a “creative commons” feature. CreativeCommons.org has free videos and images. 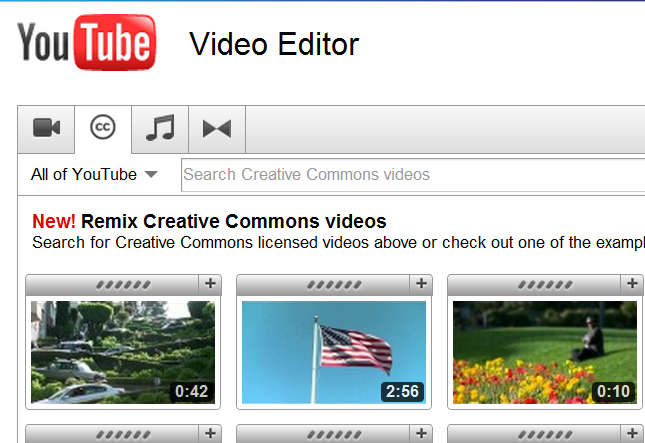 Click the CreativeCommons “CC” tab in the YouTube editor to use other people’s videos as your own, or return the favor by posting yours.